Description: Meet Ove. He's a curmudgeon, the kind of man who points at people he dislikes as if they were burglars caught outside his bedroom window. He has staunch principles, strict routines, and a short fuse. People call him the bitter neighbor from hell, but must Ove be bitter just because he doesn't walk around with a smile plastered to his face all the time? Behind the cranky exterior there is a story and a sadness. So when one November morning a chatty young couple with two chatty young daughters move in next door and accidentally flatten Ove's mailbox, it is the lead-in to a comical and heartwarming tale of unkempt cats, unexpected friendship, and the ancient art of backing up a U-Haul. All of which will change one cranky old man and a local residents' association to their very foundations. 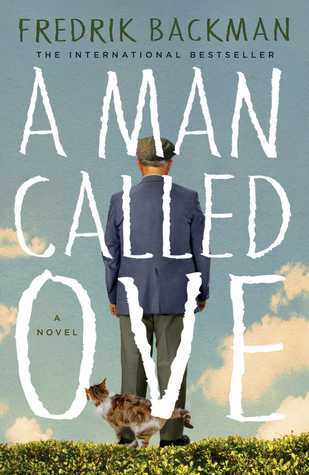 Review: A few of my coworkers and students recommended A Man Called Ove to me. I've seen this title circulate pretty heavily and thought I would check it out for the summer. It has been a long time where a book has made me laugh and fracture my heart in alternating chapters. Ove is a fifty-nine, curmudgeon widower who is upfront with his dislikes. As the book slowly reveals in episodes is that below the veneer of a grumpy old man is a man who has a heart of solid gold. The book's plot is not elaborate or hard to figure out, but its characters make it shine. Told in alternating time lines, we see Ove in the present day and his past slowly revealed in alternating chapters. Ove is naturally grumpy and pessimistic but his life is turned around when he meets and marries the love of his life, Sonja, who balances Ove's rough exterior with warmth, optimism, and light. 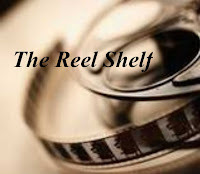 When Sonja dies of cancer, he's in a place of despair yet again and is making several attempts to reunite with Sonja again, except another woman who turns him around a second time: spirited, knowing, pregnant Parvaneh, who moves with her husband and children into the terraced house next door and forces Ove to engage with the world. The back story chapters have a simple, reflective quality that give reasons for Ove's personality, while the current-day chapters are episodic and often hysterically funny. There is a nice balance between light and dark moments of the book. The book has excellent pacing and I loved the Like the characters and the cat that repeatedly burst through Ove's doors, In both instances, the juxtaposition of Ove's grumpiness and his good deeds that prevent the book from being repetitive. After reading the book I can see why it is very popular and I would recommend it if you are looking for an uplifting, heartwarming story. I plan on watching the movie adaptation of this Swedish bestseller. Words of Caution: There is some language and mention of suicide attempts. Recommended for mature teens and adults only. Ahh this sounds fun. I like old curmudgeon and now you have me curious about Ove. The Netflix DVD of this just showed up at our house yesterday so I hope to watch it in the next couple of weeks (normally it wouldn't take so long, but school is about to begin). This good a complete set of thumbs up at book club. I wasn't sure if the book was for me in the first one-third of the book and then I found myself really cheering for the irascible Ove and his cast of neighbors. Great review. Glad the characters pulled through and made this shine! Wonderful review! I generally don't read adult books but this sounds like something I'd be interested in. My last adult read happened to be The Rosie Project based on your recommendation and I really liked that :) Plus you mentioned that there's a movie adaptation of this so then I can watch the movie too.